Read the banners and the slogans, and you can’t miss it: the Soviet Union was the workers’ state. The back catalogue of Soviet history writing is full of historians’ debates about this claim. In sometimes microscopic detail, they have uncovered the ways that factory workers lived and laboured. Yet for all the brilliance of some of this scholarship, research into Soviet labour history is no longer a priority. The heartfelt socialist convictions of many of its practitioners, occasionally expressed not only in the preface, gives some of their books a dated feel. Students neglect them. Understandably, they want to study Soviet life in the round, exploring the latest research on topics which would have seemed outlandish twenty years ago. It’s tempting to ask whether the workers need to return to the history of the workers’ state. Of course, workers were at the heart of Soviet ideology and rhetoric; of course, this generated real-world results. In the workers’ state, the central moral value was work. ‘He who does not work shall not eat’ remained a core tenet of Soviet political economy, at least in a highly theoretical sense. But this ethic created complex consequences. Take the example of social insurance — pensions, disability benefits, payments to family survivors. In the 1950s, Khrushchev set about reforming the welfare system. Giving people new rights to expanded pensions, one of his signature policies, had by 1956 become an essential element in the new, post-Stalin Soviet Union. There was little doubt that this made workers’ lives better. But for many workers, social justice was not just about material conditions. It was also about assigning to work its proper value. How could you give everyone a decent pension when some people had worked less, earned less, and had quite possibly been lazy? In the run-up to the introduction of the major pensions reform of 1956, the party and government ran a nationwide consultation about the draft law, informing people about its details and soliciting their views. A Moscow academic noted in a letter to the Central Committee that the law as it stood would go down badly. ‘Explaining to a worker who earned, let’s say, 930 rubles [per month] why he receives an identical pension to his comrade who earned 800 rubles and who worked in the same conditions and in the same factory shop will be impossible,’ he argued. Meanwhile, there was the sixty-year-old worker in Rostov who had worked for forty-five years, and his neighbour who had only worked for twenty-six. ‘Why do they want me to be on the same footing as him?’ the longer-serving worker asked. Such controversies are probably common to all industrial countries. So what was distinctive about Soviet workers? After all, they sometimes sounded like their capitalist counterparts. But very often they did not. And even when they did, they were still expressing a worldview from within the blinkers of the workers’ state. 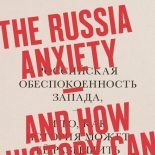 With the benefit of new sources and our more nuanced histories of the USSR, we should revisit the passionate debates of Western historians from the 1970s and 1980s, and think about how a new kind of labour history might become a priority for scholars of the Soviet past. This entry was posted on March 6, 2014 by beyondthekremlin in Russia past and present and tagged Soviet life, welfare state.